Much like their counterparts north of the border, Mexican gray wolves have had a long and troubled relationship with humans. After more than a century of being hunted down and killed as a problem predator for attacking cattle on ranches built in their habitat, the species was virtually wiped out entirely three decades ago. But now, three years after Mexican environmental officials put a recovery plan in place and began to breed the wolves in captivity and release them to wild, their efforts are paying off. For the first time since the species disappeared, a brand new litter of wild-born wolf cubs has been spotted back in their native habitat. 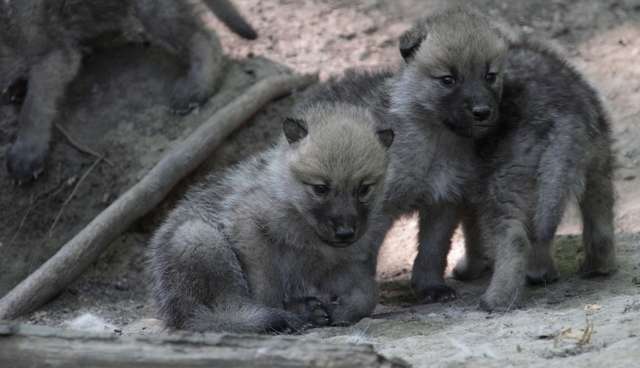 "This first litter represents an important step in the recovery program, because these will be individuals that have never had contact with human beings, as wolves bred in captivity inevitably do," says the National Commission for Natural Protected Areas, in a statement. Now that the beginnings of a new wolf pack have begun to take hold with continued protections as an endangered species, it may only be a matter of time before they exist once more throughout their once-expansive range. In the western U.S., where gray wolves were also driven to extinction, they have begun to thrive anew. From a group of less than two dozen wolves released into Yellowstone in the 1990s, gray wolves can now be found in Montana, Washington, Idaho and Oregon. With the the recent birth of litter near the border with California, wildlife authorities believe they will soon be back in that state as well.